These are so cool! Thanks for sharing. My list of Projects I Want to Do keeps growing! You are so productive; I expect you’ll get to it all! 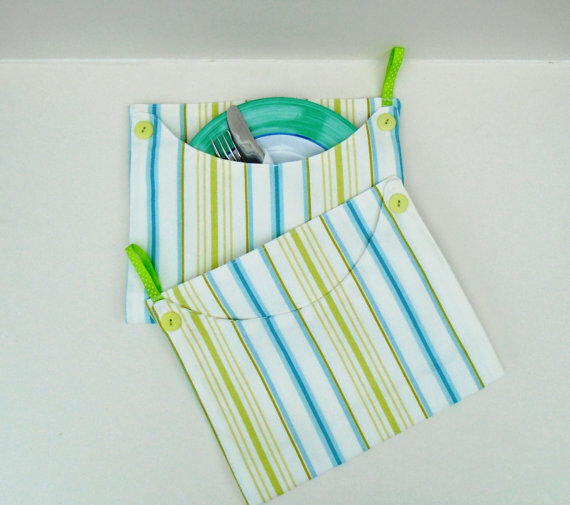 And I’m thinking place setting carriers would make great Christmas gifts! I know what I’m making for our guild’s Christmas exchange! 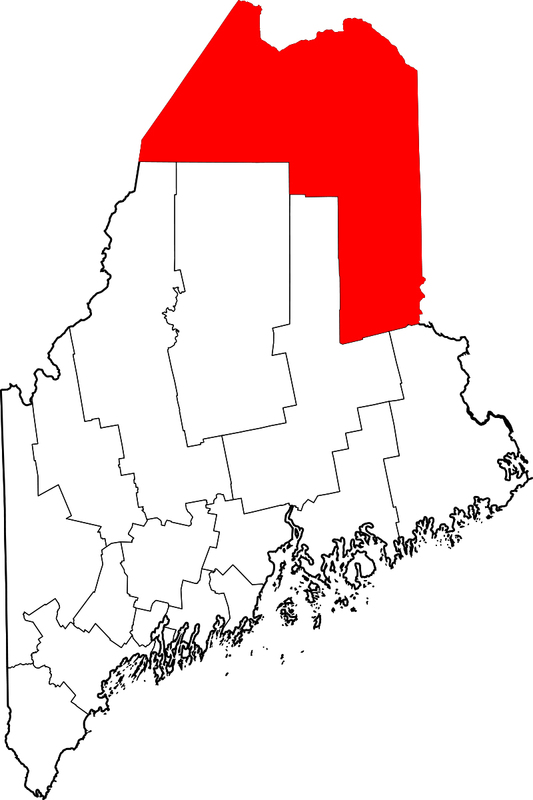 Love the idea…if there is no place to wash off plate/silverware, what did you do in Maine? Bring a plastic bag to put dirty items in before you put them back in your pretty quilted carrier? That may defeat the purpose a bit of not using paper/plastic plates/utensils? Ha! Good point. I think everyone washed their dishes before carrying them home, but I would consider just putting the carrier in the next load of laundry, too. There is no perfect solution! Yeah, in the laundry along with the cloth napkins…presto! Love this, Zippy! It was an experience. Great in some ways, difficult in others. The 150” of snow a year and isolation were the difficult parts. The hard working people with compassion for their neighbors were areal plus. https://bugguide.net/node/view/1022177/bgpage Your moth is a Haploa Calona. 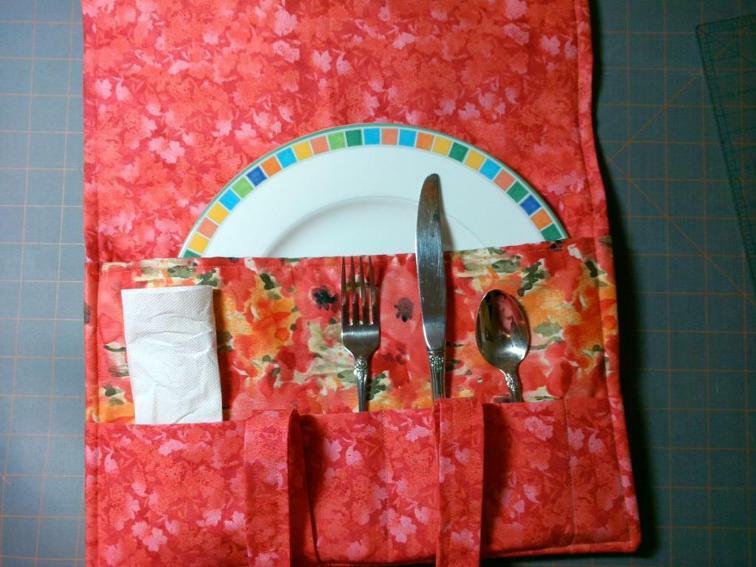 Thanks for the pattern for the place setting carrier! 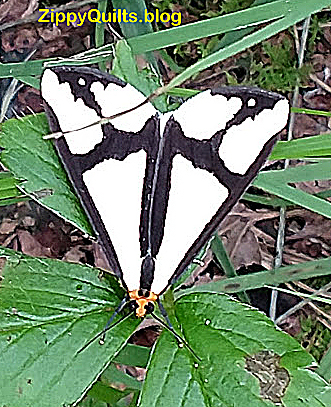 Thanks for identifying the moth!